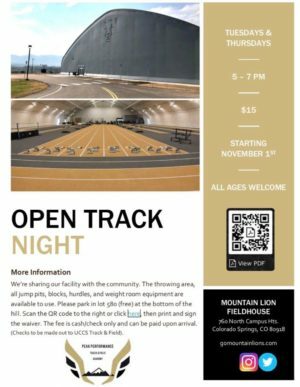 UCCS Open Track Night, every Tuesday and Thursday evening 5-7pm. Open to the public, all ages welcome. See flyer for more information. Subscribe to our newsletter to stay updated with the special sales online, or at our store location.